Staffers at the Arnold Arboretum relied on multiple sources of mapping data, including over 50-years worth of hard copy, landscape designs. To integrate these maps into a single database, the documents needed to be scanned and geo-referenced. This requires that the precise detail in the maps are captured during the scanning process..
Contex 42 inch HD scanner for highly accurate image quality in the digitized documents and ESRI ArcGIS for georeferencing. Besides being able to search and view maps online as well as taking printouts to the feld, the scanned map archive has unlocked valuable information about plant legacy and living plants. This is incredibly useful to preserve the right historic landscape. The Arnold Arboretum of Harvard University is a botanical garden like no other. Established in 1872 and occupying 265 acres, the Arboretum’s living collection of trees, shrubs, and woody vines is recognized as one of the most comprehensive and best documented of its kind. Recently, the Arboretum received a grant to digitize a 50-year collection of nearly 1,800 maps that show the location of plant species. Dating from 1937 to 1988, some of these assets were in poor condition. 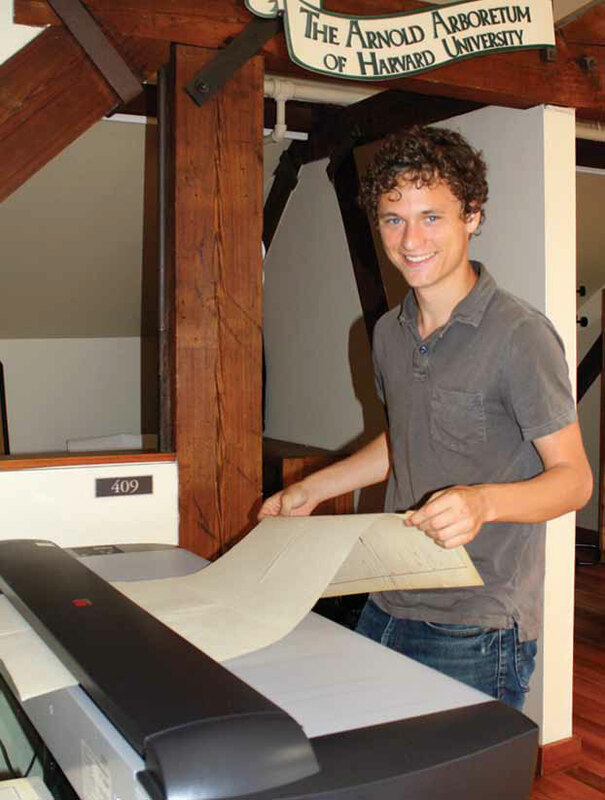 To ensure that the precise details were captured during the digitization process, the Arboretum chose the Contex HD wide format scanner. 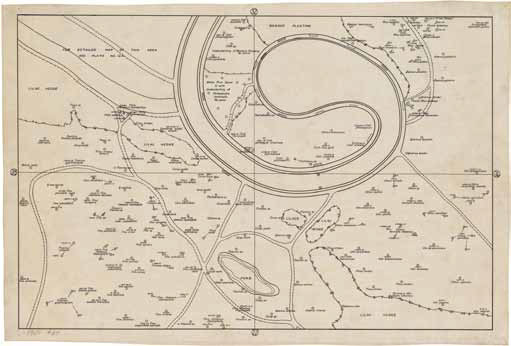 With the scanned maps, staffers geo-referenced the evolution of the landscape through the years, unlocking valuable information that was hidden in the individual paper maps. The purpose of the scanning project was to integrate disparate sets of information into an easily searchable database. Staffers would no longer use library cards for archival plant records and maps that were created prior to the 1980s, when the database was frst launched. "The Contex scanner is quick, incredibly user friendly, and the quality of the images is excellent"
To achieve this task, the Arboretum chose a Contex 42 inch HD scanner. Built with 48-bit color, multi-channel CCD technology, and advanced image data processing algorithms, the scanner is highly regarded for accurate, high-quality image quality of wide format documents. The Contex scanner is one of the market’s fastest, processing up to 12 inches per second. The Arboretum staffers scan the archived documents, storing the images on a local server. The images are then integrated into ESRI ArcGIS mapping platform to create georeferenced maps. These images give staffers new insight into plant lega-cies at the Arboretum. For example, staffers have been able to locate some living plants and remnants that ft into the historic landscape. Generally, the hard copy maps are in good shape, but several demonstrate more serious problems, such as being torn. For those more fragile items, staffers use a mylar folder to process the scan. Saved at 300 dpi in JPEG 2000 format, the documents are accessible from the Arboretum’s internal server. “The Contex scanner is quick. Some of the documents are frag-ile, and the scanner did a great job. It’s incredibly user friendly, and the quality of the images is excellent,” comments Jonathan Damery, Curatorial Assistant of the Arnold Arboretum. “From a historical perspective, it’s interesting to see legacy plant collections. We have already been able to locate some living plants from the scanned images. There will be a lot more mysteries to solve,” comments Damery. “It’s wonderful to see the maps come together in different periods in time. The scanned images help us to unlock information. They can be easily referenced, making them incredibly useful,” concludes Damery. "The scanned images help us to unlock information. They can be easily referenced, making them incredibly useful."